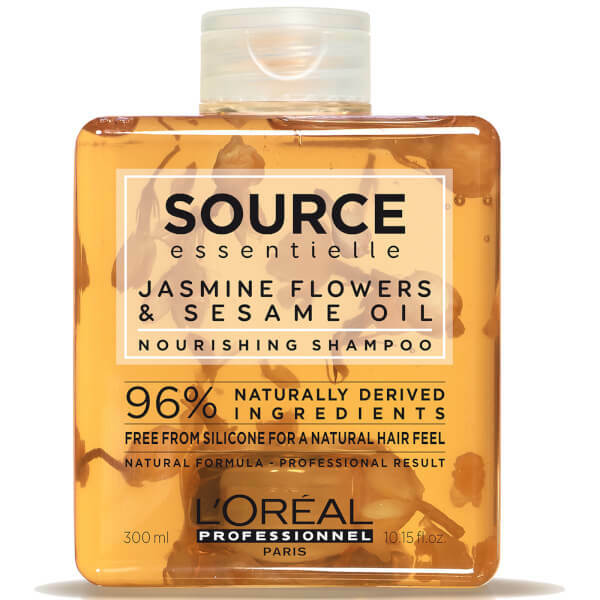 Nourish your locks with L'Oréal Professionnel Source Essentielle Dry Hair Shampoo; a daily formula that works to cleanse, strengthen and restore healthy-looking hair. 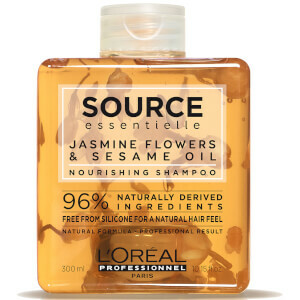 Harnessing the powers of Sesame Oil and Jasmine Flowers, the luxurious shampoo gently eliminates excess oil and impurities, whilst replenishing moisture and hydration from root to tip. Tresses are left silky soft with salon-worthy shine and an uplifting fragrance of Orange Blossom, Bergamot and Vanilla. Ideal for dry or frizzy hair.